We provide mind training programs that maximises the talent that each individual and the team possess. We help highly skilled individuals find the answer on how to best use their talent to achieve the goals and to accomplish the new levels with the skills they already mastered. When someone faces challenges we train them to step up and build, with a ‘whatever it takes’ attitude. It is important to go beyond the point which you previously thought was your limit . You have to believe in yourself and ask yourself the right questions : ask for wisdom and the solution will present itself. are facing these boundaries and to overcome challenges in the fastest possible way. When facing challenges, we train you to look only at the factors that can keep you strong! Today is the most important day and this moment is the most important moment, let’s make it great, the time is now! With over four years coaching experience in sport and business Tony has helped over a hundred people improve their performance and increase their results with a huge success rate. 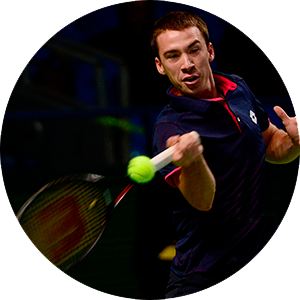 By combining Winning Attitude, Goal, Motivation, Consistency and Commitment with NLP Coaching tools Tony coached a tennis player to become the youngest player from his country on the Professional ATP Circuit. The same tennis player jumped five hundred places on the ATP World Rankings in three months. Tony also worked with young talented tennis player Miss Ivana Jorovic. In a period of 12 months while working with Tony, Ivana achieved a winning streak of 32 victories. She also improved her ranking substantially to reach the number 1 spot in the ITF Juniors World rankings. Tony also worked in the team that helped 3 World Class Pro Squash players each achieve a jump of over 200 places on the Squash Professional World Rankings in less than a year. Tony coaches 3 professional tennis players under his Winning Attitude program. Since May 2013 they have won an amazing 26 titles and their success continues…. Our training includes highly energised and result-driven techniques designed for specific and modified results. Training courses are going to keep you alert and focused by providing you with interactive delivery, executive coaching, dynamic exercises and enhancement of top qualities and skills, constantly taking you to a new level. Our training will provide you with skills and tools to fulfil your maximum potential and to further expand the highest values of Commitment, Acceptance, Professionalism, Trust, Focus, Success and Winning Attitude. Tony worked with Ivana Jorovic in a very productive and successful period of her carrier. While working together Ivana won 8 titles from 9 finals, 5 of the titles were from consecutive tournaments. 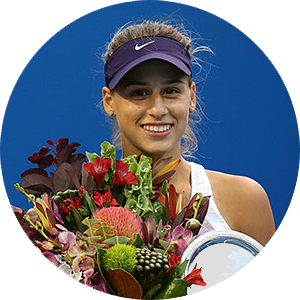 In the period of 12 months while working with Tony, Ivana achieved a winning streak of 32 wins and she improved her ranking substantially to later reach the number 1 spot in the ITF Juniors World rankings. 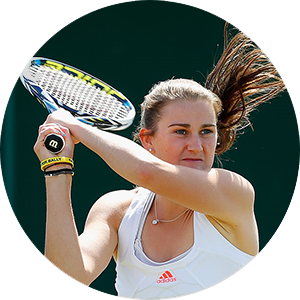 Katy Dunne won her first and number of other pro titles while working with Tony and also jumped 700 places on the WTA world rankings and became the best ranked British teenager in the world! In the same period Katy Dunne was two times awarded Aegon player of the month one of the most prestigius awards in British tennis. The award is presented by the Lawn Tennis Association. While working with Tony, Pedja won his first professional title and also achieved a jump of over 700 places on the ATP world tour rankings within just little bit more than one year. During the same time Pedja won number of other titles and became the top 3 player from his age group in the ATP world tour rankings. 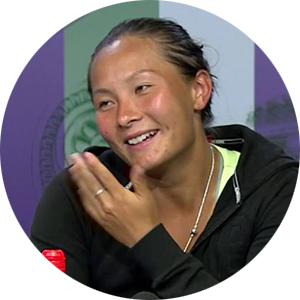 According to The Times newspaper, Britain’s Tara Moore praised the “monumental” impact of her mental coach after she claimed her first victory at a grand-slam tournament to become the fourth Briton into the second round. Seeking a new direction, Moore employed a specialist mental coach, Tony Lekic. “It’s been a great benefit,” Moore said. “He doesn’t just help me with on-court stuff. There’s a lot of off-court stuff that people don’t see, a lot of behind the scenes things that are tough to handle for a tennis player. We travel a lot. We’re away from loved ones and friends a lot. That’s really difficult. Tara Moore for The Times!